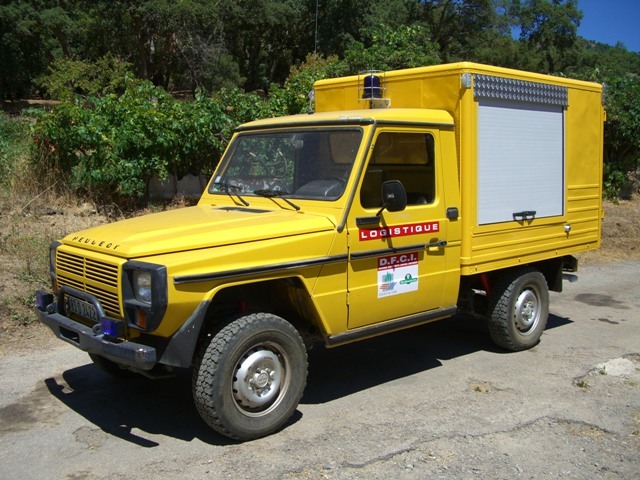 Originally this car is the standard 4WD vehicle of the French army, but some vehicles were sold to various services of firefighters. Added by Lambert Arnaud on 27 July 2011. It is the french version of a Austrian Puch and German Mercedes. Added by Anders Fallström on 22 June 2014. Not really a variant of Mercedes, but it's built with a Mercedes engine. Originally it's a military car. Added by Lambert Arnaud on 24 June 2014. AFAIK the Peugeot P4 is based on the military (NATO)version of the Mercedes/Puch G called Wolf. It was built in license by Peugeot and had a 2.5 litre Peugeot diesel engine with 70 hp. Added by Martin Siegel on 26 June 2014.